Fr. Ante Vučković. Ph.D. Born in 1958 I Sinj into a large family. 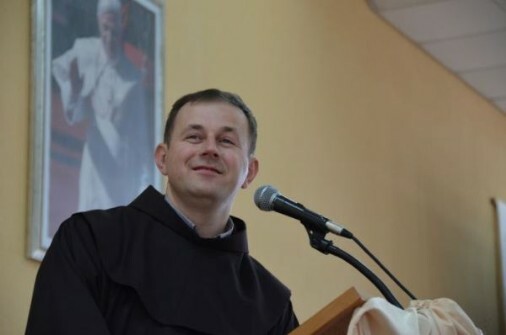 He is a member of the Franciscan Province of the Most Holy Saviour with its seat in Split. He attended and completed studies at the classical secondary college and seminary in Sinj, while he studied theology in Makarska and Split. He was ordained as a priest in 1983. After serving as a chaplain in Metković and Munich, he studied philosophy in Munich and Rome where he obtained his doctorate in the dimensions of hearing with Martin Heidegger. He taught philosophy in Rome at the Pontifical University Antonianum and at the Franciscan Divinity School in Makarska. He is a professor at the Catholic Theological Faculty of the University of Split. He also lectures at the Philosophical department of the same university. 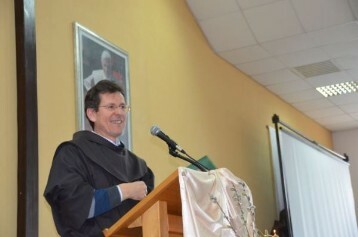 He is the head of spiritual exercises, seminars and spiritual retreats. He is a spiritual companion and advisor. He has published a number of books. He is published in professional and populist periodicals.